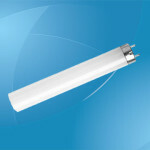 T5 Fluorescent Lamps are energy efficient lamps, which are an increasingly popular advancement in fluorescent lighting. They are some of the latest generation of cost-effective fluorescent lamps that produce bright, top quality light at a low-cost to users. Common applications include decorative and architectural lighting in retail stores and offices. 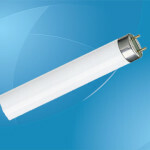 T5 fluorescent lamps have smaller cross section and size, usually 5/8″ of an inch in diameter. They are available for standard output and high output and they have better light control and also better fixture efficiency. These T5 lights are a cost-effective way of lighting big spaces as they normally last up to 20,000 hours. They are often available in 14, 21, 28, and 35 Watts along with 3000K, 3500K, 4100K color temperatures. The T5 lights are designed to give optimal output of light at an ambient temperature of 950 F as opposed to the 770 F design peak for the majority of other lamps. These features enable the application of T5 fluorescent lamps in more condensed fixtures than would otherwise be achievable. They are actually more efficient, and they produce a higher intensity of light output compared to other lamps. One advantage of these T5 fluorescent lights is that they have low mercury content and a coating inside the glass wall, which prevents the phosphors and glass from absorbing mercury. Less mercury in conjunction with energy efficiency and longevity lessens the impact on the environment. The lamps also feature superior photometric performance and have no frequency blinking. Another benefit that T5 fluorescent lamps come with is that they generate high levels of color rendering as well as better efficacy (Lumens per watt). 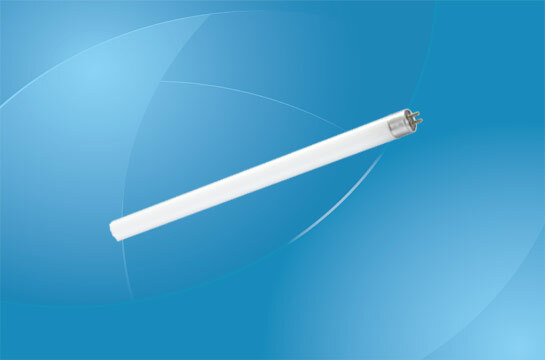 The correlated color rendering index and color temperature of the T5 fluorescent lamps is typically determined by the phosphors utilized in the manufacturing process. By installing T5 fluorescent lamps you can easily select varied shades of white light, such as warm white, cool white and daylight. In addition, T5 fluorescent lights use special ballasts that prevent overloading. These special and small ballasts make it possible for the lamps to operate at frequencies higher than 20 kHz, offering you handy features such as rapid start, instant start and programmed start. These T5 electronic ballasts are energy efficient as well, and bring about even bigger reduction in the energy utilized. The lamps can also be started at low voltage and since the electronic ballasts are the high-frequency unit, usually 30,000-50,000 Hz, the lamp does not flicker when lighting up. T5 fluorescent lamps can be installed to effectively illuminate everything from offices to aquariums, factories, supermarkets, schools and underground railways. They are frequently applied in modest fixtures, such illuminating display cases and cove lighting. The high-intensity and thinness of these T5 lamps allow designers to position fixtures farther apart and nearer the ceiling than would be possible with other lamps. 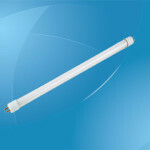 Overall, T5 fluorescent lamps offer great lighting in an economical manner. Owing to the high efficacy, small size, good color rendering, long lifetime, energy saving, less mercury employed, these T5 lamps are probably the newest high-technology green light of today.